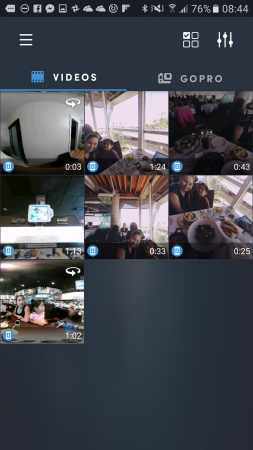 Unclip (Android and iOS) is a video editing app that can back up your 360 videos to the cloud, synchronizing them across devices and conserving the storage capacity of your phone. Many 360 cameras connect to your smartphone to download videos for viewing or sharing. However, 360 videos take up a lot of space and can easily fill your smartphone’s storage. One app that can help mitigate this problem is Unclip. 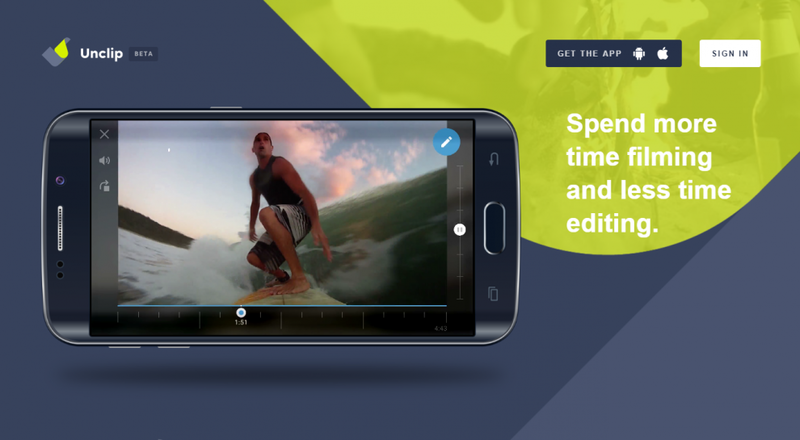 Unclip is an app for Android and iOS designed to enable quick editing of videos. It also happens to have support for 360 videos and can be used to back up your 360 videos to the cloud. Unclip is made by Samsung but it is brand-agnostic (you can use it with videos from non-Samsung cameras). 1. Download the app and create an account on Unclip (you can also create an account on Unclip.com). 2. Launch the app. On the gallery page, you’ll see the videos on your phone. 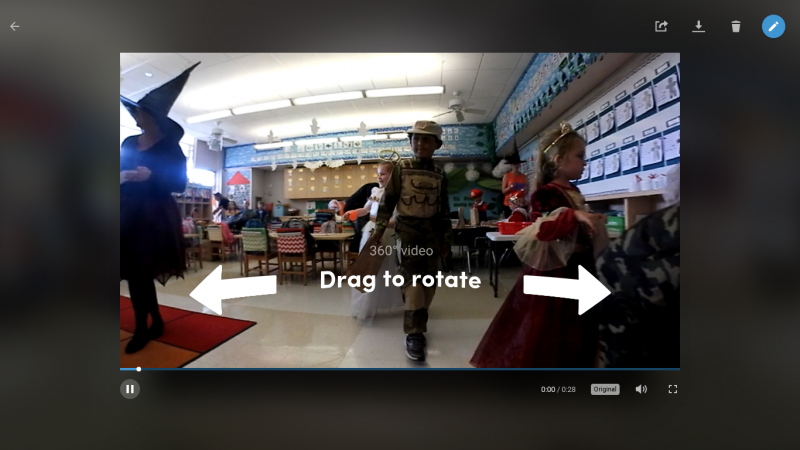 Note: You can filter the videos to show only 360 videos by tapping on the slider icon (3 vertical lines with dots) on the upper right corner and selecting 360. 3. On the upper right corner, click on the grid icon (4 check boxes). 4. Select the videos you want to backup, then press the sync icon to back them up to the cloud. That’s all there is to it! I don’t know the maximum resolution supported by Unclip. However, I’ve been able to backup 4k videos at full resolution. Note for users of Insta360 Nano and Insta360 Air: Unclip can only see 360 videos that have been exported to your Gallery or Camera Roll. From the Nano or Air app, you need to tap on “Share” then “Local.” This will export a copy of your 360 video in standard MP4 format to your Gallery or Camera Roll where it can be viewed and backed up with Unclip. Once the videos have been backed up, you can see them on any of your other devices with Unclip, or any device with access to a modern web browser. To filter just the videos that are synced in the cloud, click on the slider icon and select “Synced”. To watch a synced 360 video, double click on it. It will stream from the cloud. Since the video is being streamed, you won’t have to take up space on your phone (On the desktop version, you can specify the playback resolution as well). Synced 360 videos can be played back by streaming. Desktop version shown. When viewing the synced video, you can also edit it to change the heading (i.e. the initial view of the 360 video) or trim the video (“clip” it). By default, there are 6, 15, and 30 second clips that you can drag to the best part of the video, but you can adjust the start and end points to any length. One cautionary note is that it appears the trim is not reversible and actually changes the synced file. You can download synced videos by tapping on the grid icon to select the video to download then tap on the download icon to download the video to your device. Synced videos can be shared on Facebook, Twitter, or via URL. Unclip has other features such as streaming directly from a GoPro camera. If you’d like to have similar functionality for 360 photos, you can use Google Photos. See here. Thank you very much to Jakob Wittmann (admin for the Insta360 Air user group on Facebook) for bringing this very useful app to my attention! Yes it was owned by Samsung so I think Samsung just wanted to integrate it with Samsung VR. TECHNIQUE: Process horizon correction for the Ricoh Theta dozens of files at a time with this script!